We are excited to partner with Bike Index, the most widely-used and successful bicycle registration service in the world. This nonprofit has cataloged over 128,000 bikes and reunited over 4,900 bikes with their owners. The town recovers dozens of bikes each year. Bike Index helps return your bike to you. If your bike is stolen and it’s registered, you’ll already have the serial number for the police report in your Bike Index account. 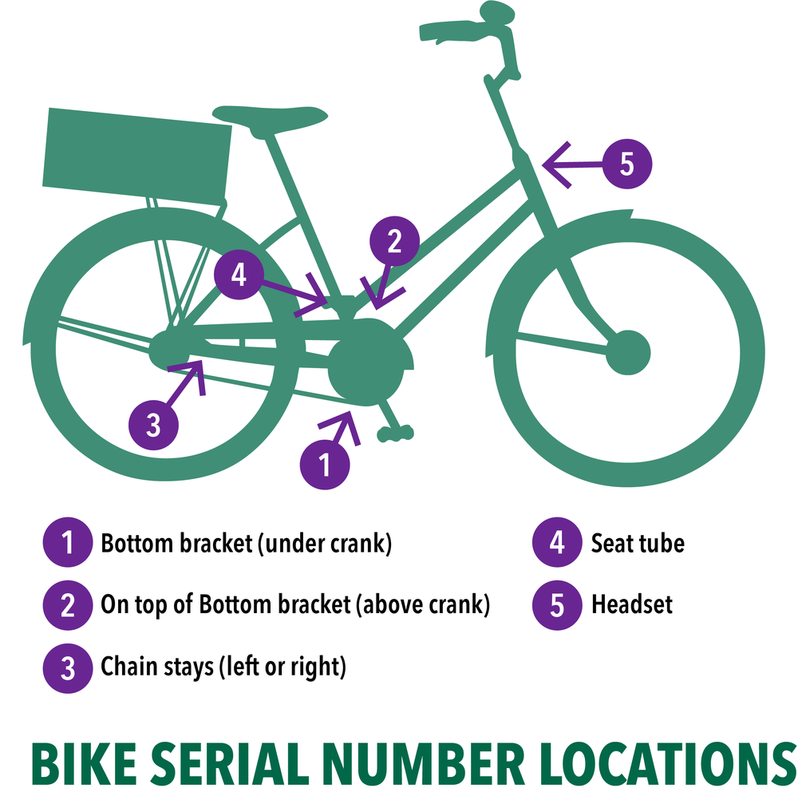 If you lose your bike and it’s found, the police can locate you by looking up the serial number in the database. If your bike goes missing, contact the Provincetown Police Department immediately at 508-487-1212. Where’S the serial number on your bike? On most bicycles, the serial number will be engraved on the bottom bracket. Turn your bike over and look between the pedals. If your bike has multiple sets of numbers, just put a space between each group. Fill out the form below. Include a picture of your bike. After you submit the form, you’ll receive an email from Bike Index asking you to confirm your bike in the system. Confirm your bike and create your Bike Index account. Then you can add more details about your bike or register additional bikes.